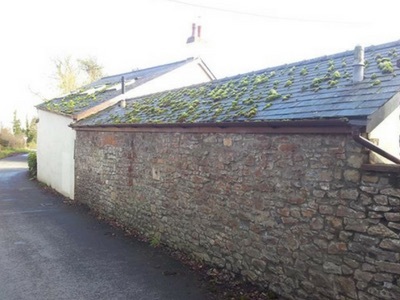 Years of moss build up meant this roof was slowly growing into a roof garden. 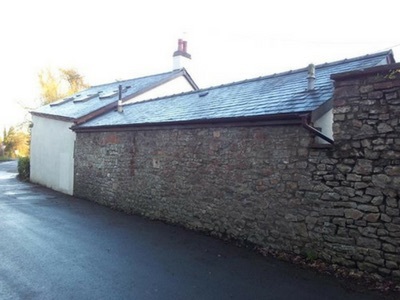 Although it may look nice to some people the fact is moss build up can damage your roof. When is rains each piece of moss absorbs water increasing the weight on the roof. Why do you need your roof cleaned? • Drains will not become blocked caused by moss falling down downpipes. • Roof will look more appealing to the eye. 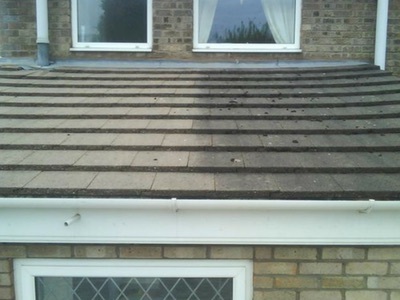 • Cleaned roofs can be coated with your chosen colour. • Increase value of your house and make it more appealing to buyers. • A cleaned roof means moss will not fall all over your patios, driveways and gardens. The pictures shows a roof which has had one side cleaned with only chemicals.No high pressure jet washing took place to clean the tiles. Using these chemicals your roof can be cleaned effectively and safely. We can use ladders, scaffold or cherry pickers to carry out the work. We can pressure wash your roof to ensure the roof is thoroughly cleaned, then apply a sealant to keep your roof cleaned for longer. We can add a tint to the sealant and change the colour of your roof or you can keep a transparent finish. 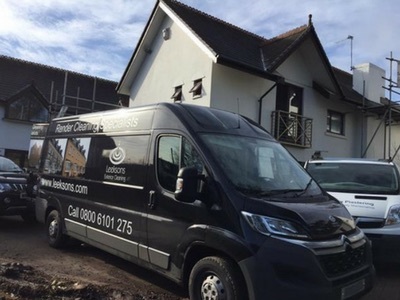 Due to safety reasons all work is carried out from scaffolding or using a cherry picker for high roofs. We will also clean all your guttering, PVC and windows leaving your property in top notch condition!